Jake Livingstone has 2 goals and 7 assists in his last 6 games. The Rivermen’s 4 game win-streak came to a halt on Wednesday with a 2-1 defeat to Chilliwack, but the impressive run in the games prior have helped them keep pace in the Mainland Division. It began with a 2-1 victory to earn a split in Prince George and momentum was carried into the following weekend. They went on to sweep a weekend home-and-home with Surrey and complete a brilliant comeback on Tuesday against Coquitlam. In the first game of the weekend series, the Riv scored 4 unanswered goals in Surrey to stun the home crowd in a 4-1 win over the Eagles. Nine Rivermen players contributed points including 2 goals from Devin Leduc. Eagles goaltender Cayden Bailey put forth a valiant effort but the Langley barrage of 44 shots proved too much to handle. The two teams met again on Saturday night in Langley, with the Rivermen coming out on top once again by a score of 6-3. Riv forward Trevor Ayre had a night to remember, scoring a hat-trick which culminated with a buzzer-beating empty-netter. Ethan Leyh also provided a goal and an assist. Defenseman Jake Livingstone improved on his strong offensive season with 2 assists. The Eagles attack was paced by Jeremy Smith, who scored twice. Tuesday night provided one of the most exciting contests of the year, which saw a back and forth affair with the Coquitlam Express in a 7-5 comeback win for the Rivermen. Down by 2 heading into the 3rd period, Langley scored 4 unanswered goals to take the lead and the victory. For the second game in a row, a Riv forward completed a hat-trick, this time off the stick of Leyh. William Stromp provided a goal and an assist and Livingstone added 3 assists to his resume. Newly acquired goaltender Shayne Battler was impressive in his Rivermen debut, stopping all 14 shots he faced in relief. 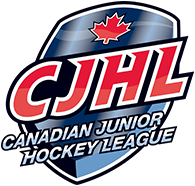 The streak ended Wednesday night in Chilliwack in a the loss to the Chiefs. Leyh once again hit the scoresheet for the lone Rivermen goal, with assists coming from Livingstone and Alec Capstick. Battler stopped 31 of 33 shots in his first start for the team. The upcoming schedule sees a lot of bus time for the Riv, including visits to West Kelowna, Salmon Arm, and Prince George. Beginning on the 27th, they will take on the Warriors and the Silverbacks on back-to-back nights before traveling further north to Prince George once again for a two game set. 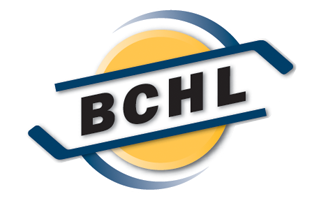 Langley will then play again in Chilliwack on December 5th before returning home for a game against the Trail Smoke Eaters on the 8th.